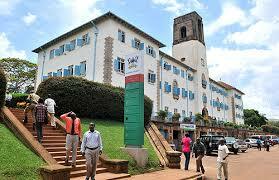 Calm has returned to Makerere University’s Faculty of Economics and Management following earlier unrest over delayed release of exam results. A meeting is underway between the faculty administrators and the student leaders to address the students’ grievances. The third year students of Bachelor of Economics external are now camped at the School of Economics. They claim that they have been waiting for their results for two months in vain. The Dean College of Business and Management Dr. Umar Kakumba earlier addressed the students calling for patience as their results are processed. This comes days after the students of ICT went on strike, over missing lectures. They claimed that they had not been taught for close to two weeks as the lecturers stayed away from the lecture rooms demanding for a two month salary. The students were only calmed down after the university management promised to immediately clear the lecturers salary arrears.